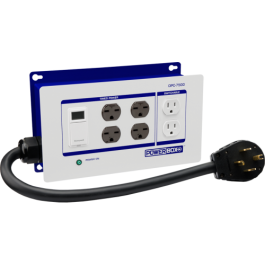 The DPC-7500-120V is a unique lighting controller that connects to a 4-wire 240-volt service, but provides six 120-volt outlets (5-15r) that allow you to run up to 60 amps at 120-volts. 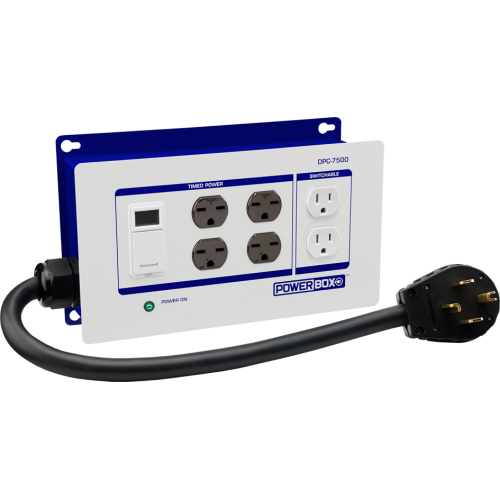 In many cases, you can plug this unit right into an existing dryer-type outlet (14-30r) to be up and running quick. Another unique feature of this model is that you can set the last two outlets to be timed with the main group, or to provide constant power. You can use this single controller to run veg and bloom rooms – lots of possibilities. Safe and affordable, this model provides many possibilities for smaller setups.